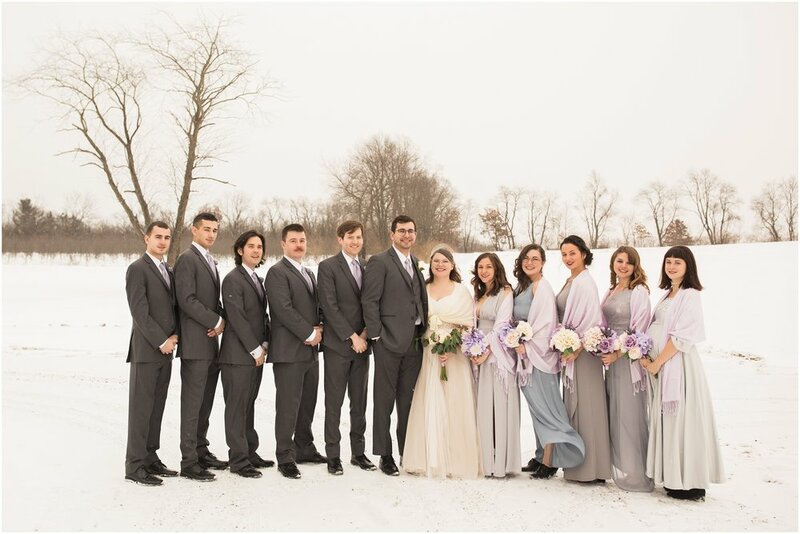 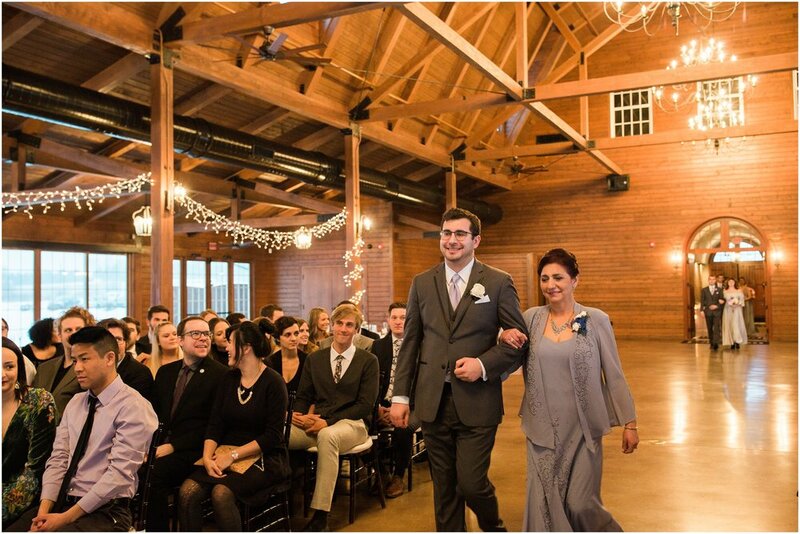 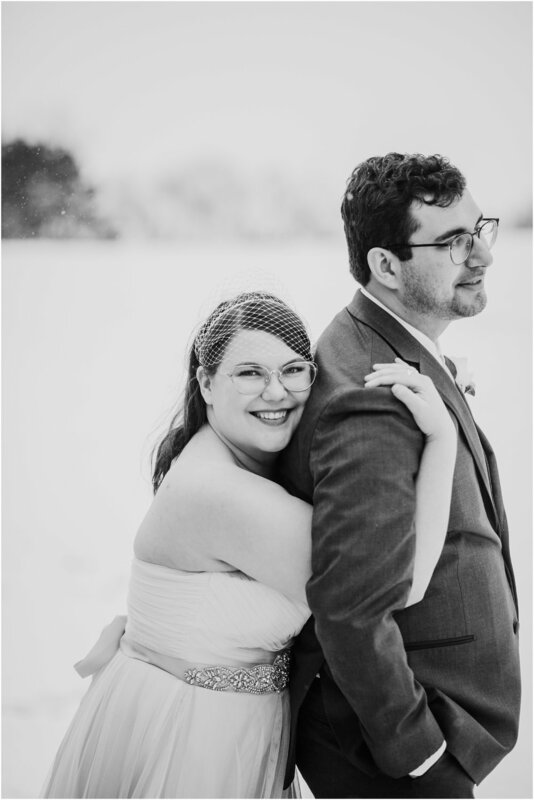 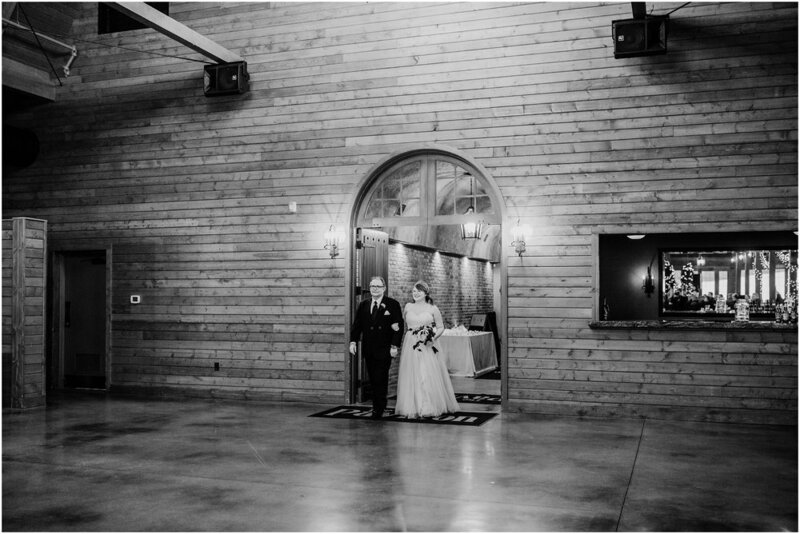 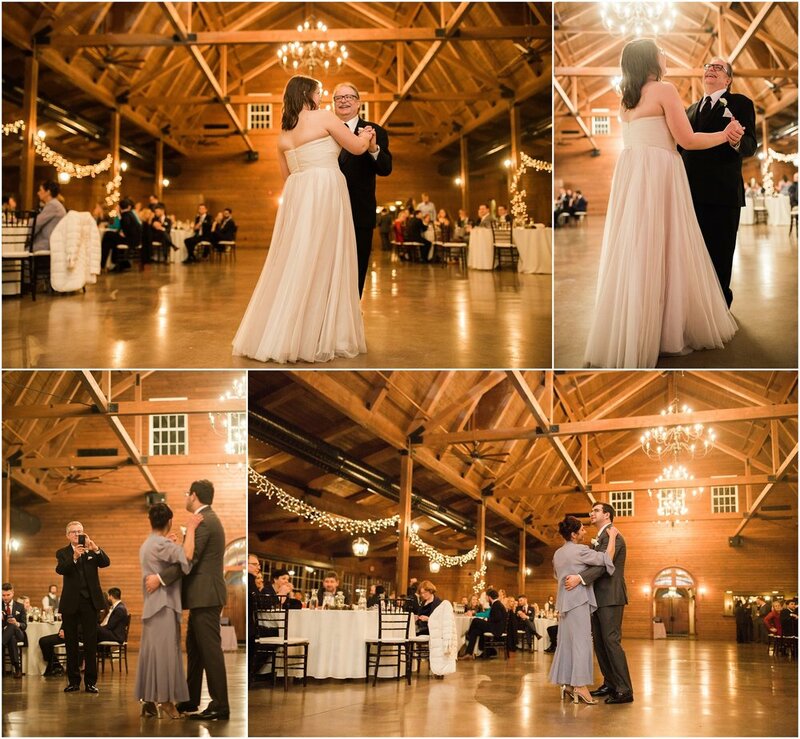 On a winter Friday in Rockton, Illinois, the first big snowfall of the season began as Richard + Jen became husband and wife at Orchard Ridge Farms. 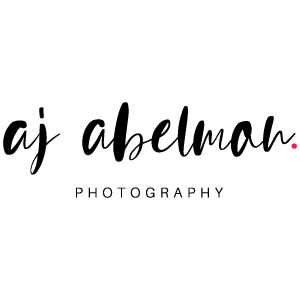 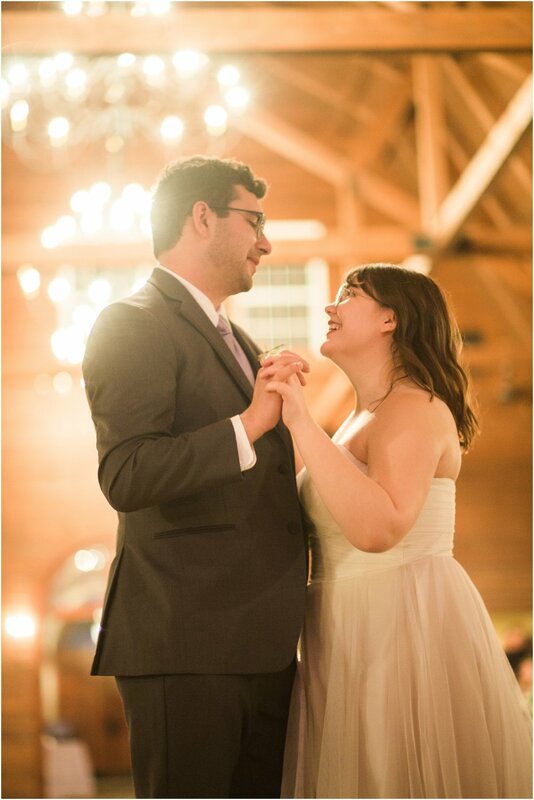 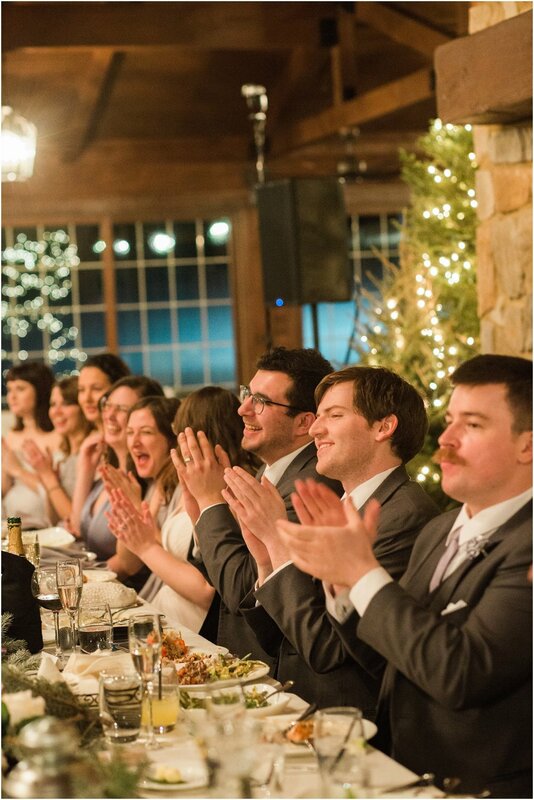 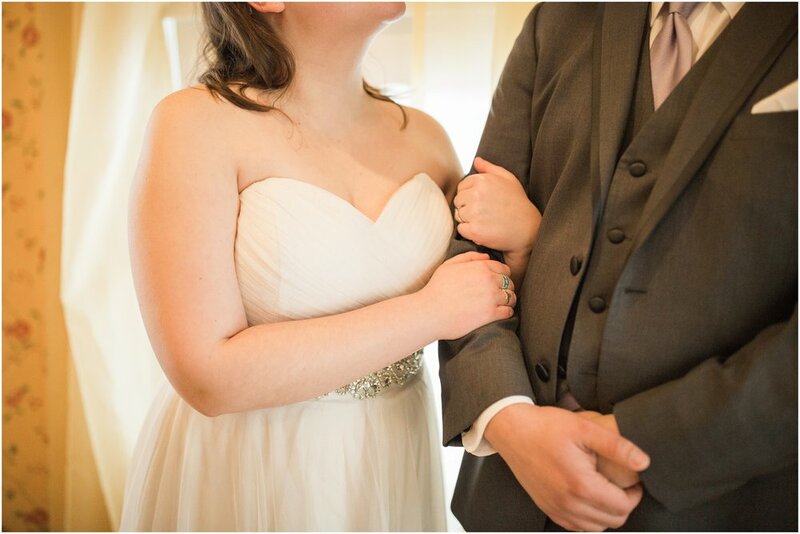 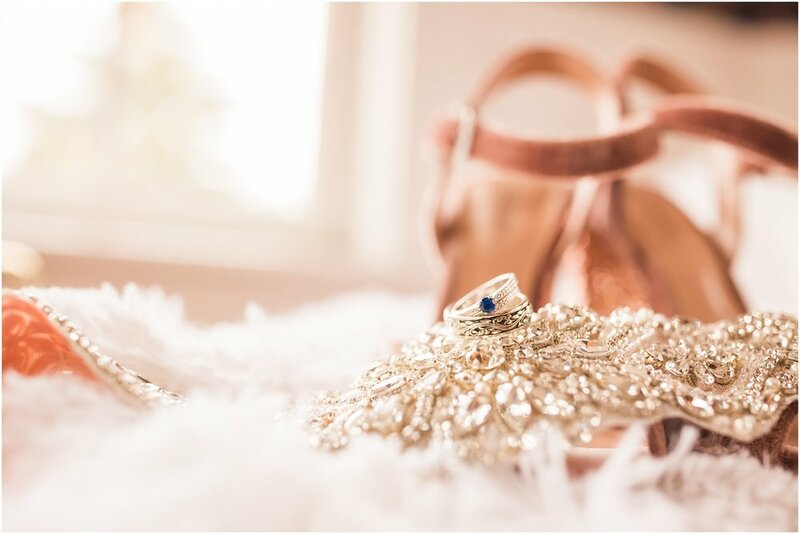 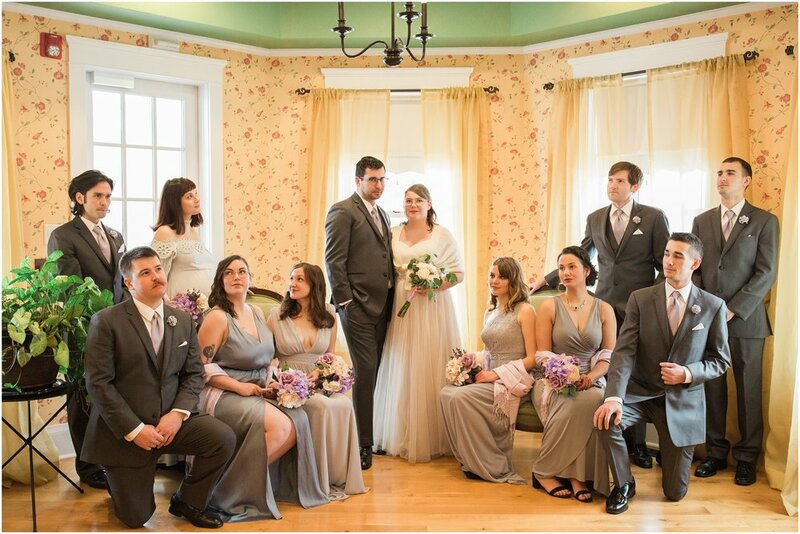 The two had been together for 8 years before tying the knot, and years-long relationships were the underlying theme of the day, with childhood friends surrounding both of them in their wedding parties, a college friend officiating their wedding, and high-school friends occupying much of the guest list. 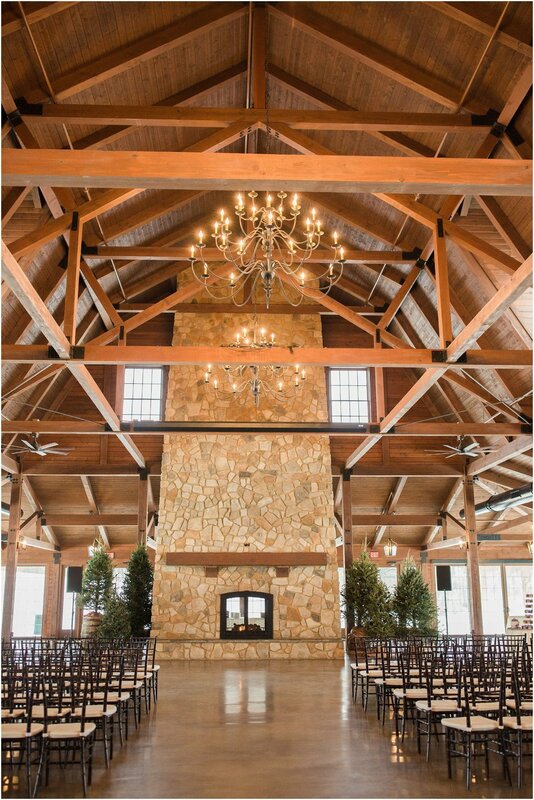 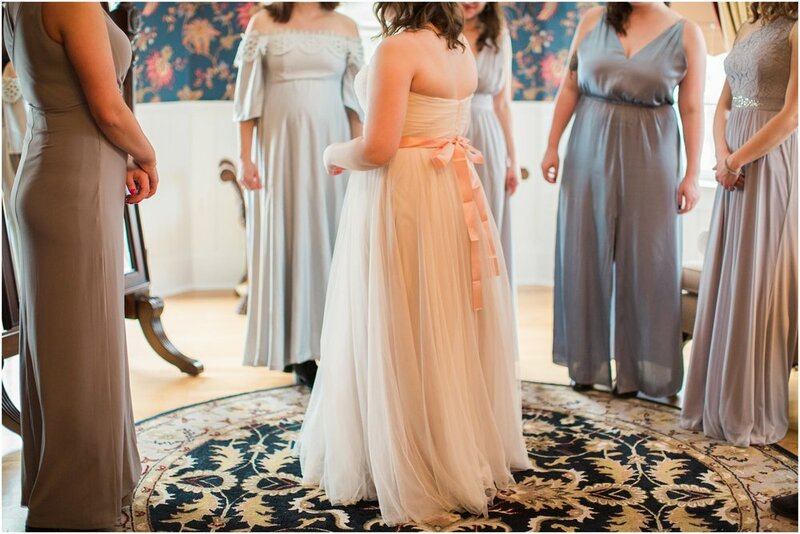 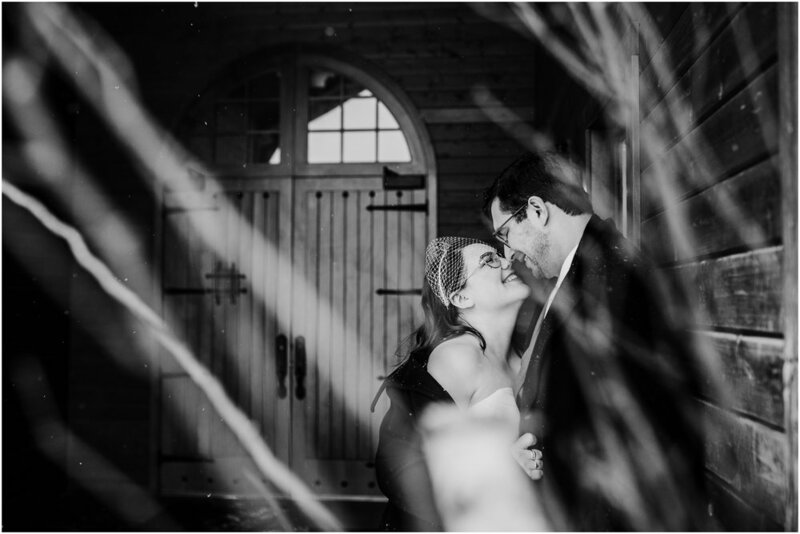 When I arrived at the stunning Copperstone Inn, which the couple had rented out for their entire wedding party to stay in, I was immediately welcomed into the fold. 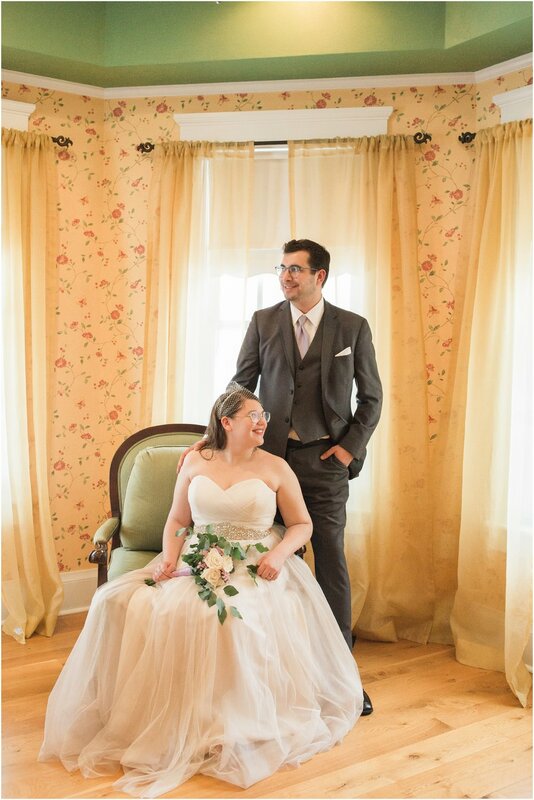 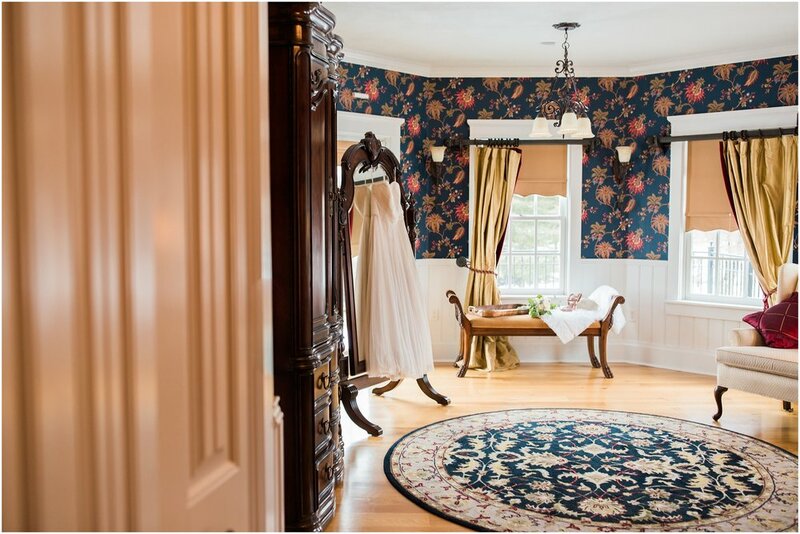 Richard + Jen and their crew treat everyone like a fast friend, and we had an absolute blast exploring the gorgeous Inn for photos (I mean can you believe those rooms?!) 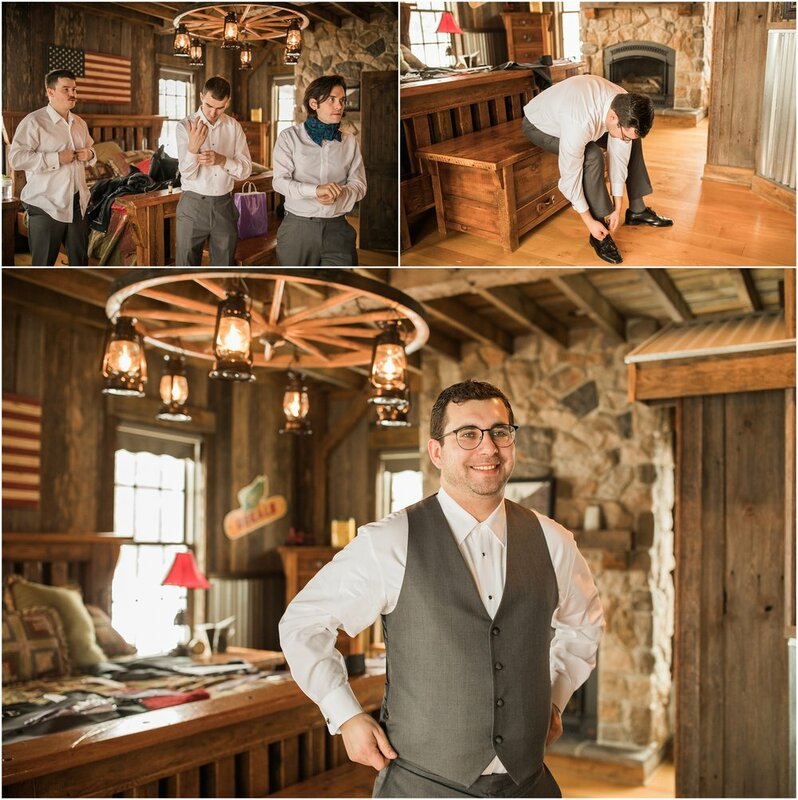 before venturing out into the snow. 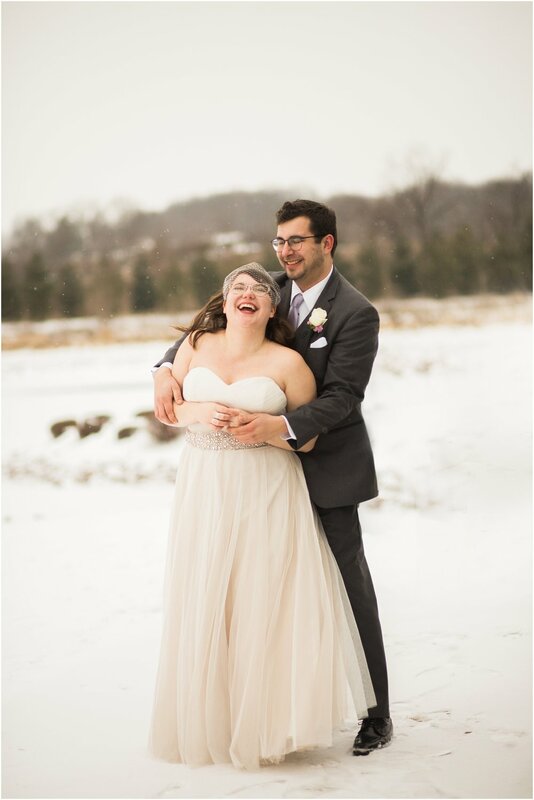 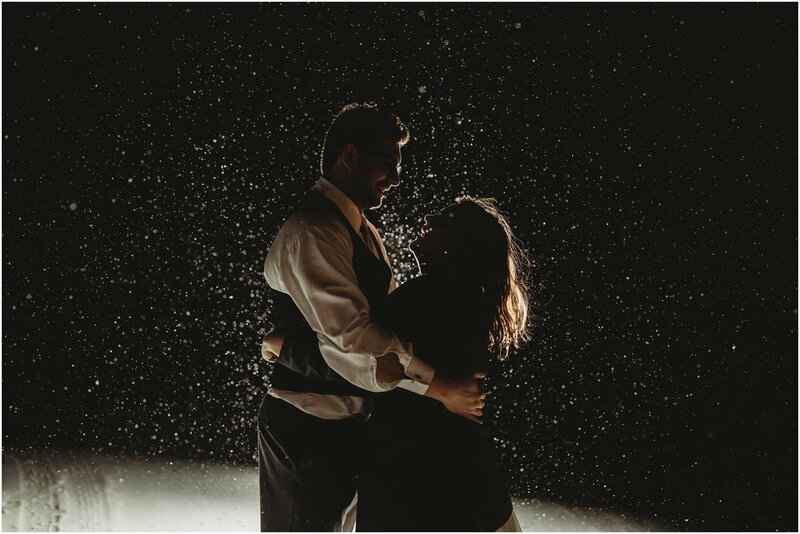 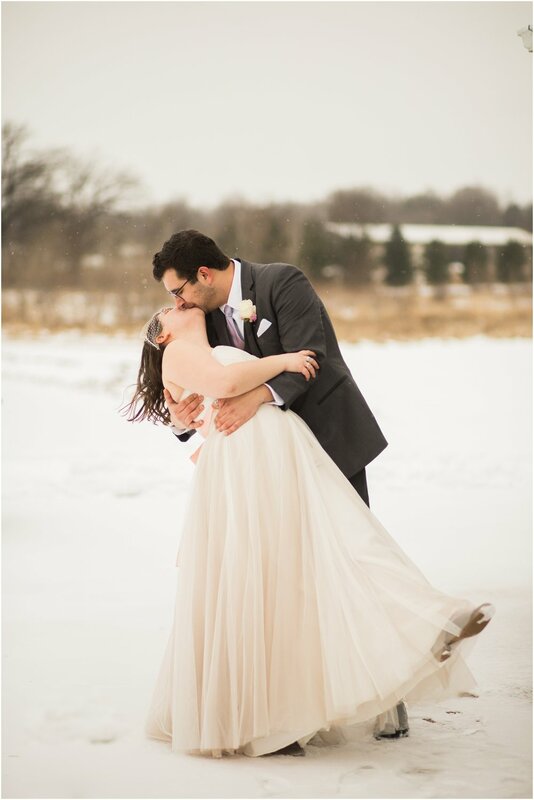 If you have a winter wedding, you definitely want to embrace it in all of its chilly magic, and Richard + Jen definitely did just that! 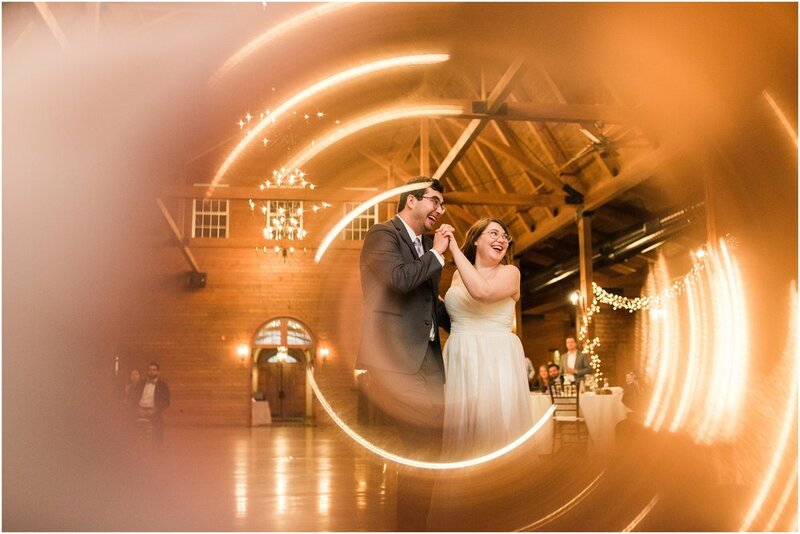 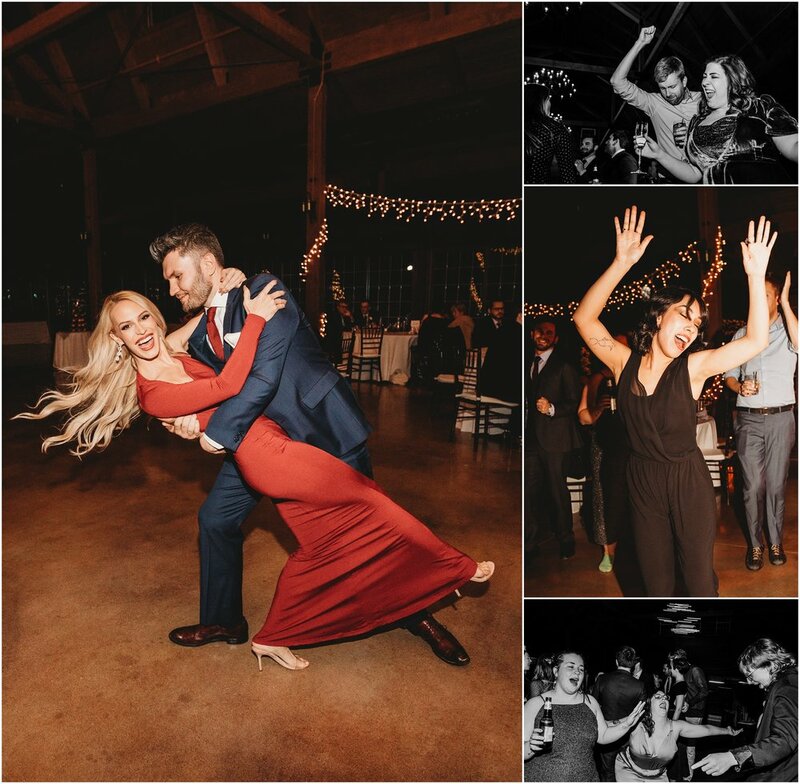 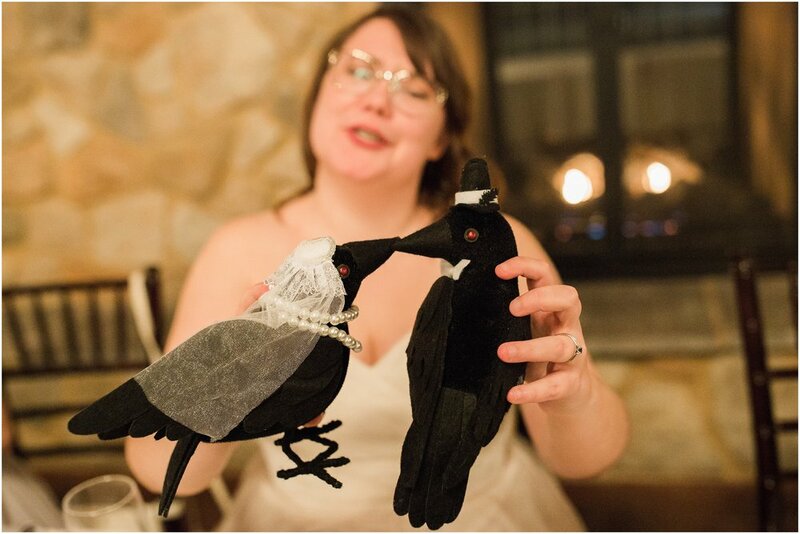 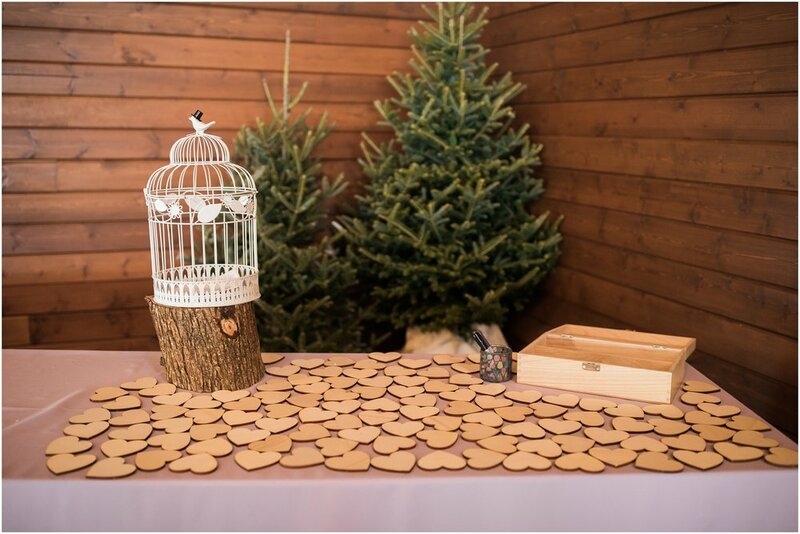 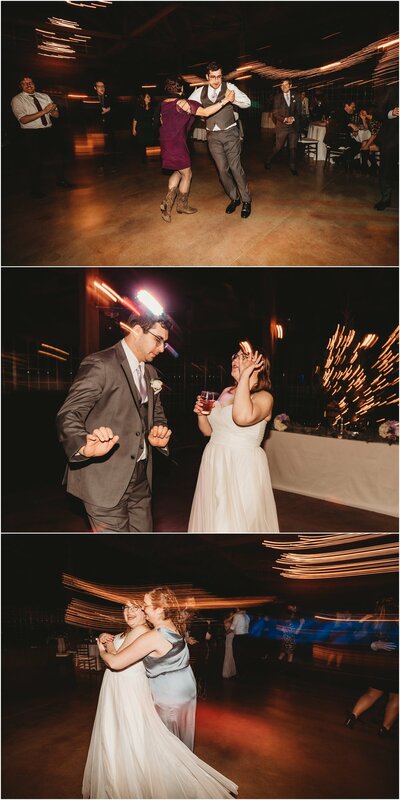 I loved the way that this awesome couple’s laid-back and playful nature was reflected in their wedding day, from the sweets table and red-eyed ravens (Jen’s favorite) to their request for a recreation of one of Christian Slater’s wedding photos at the same venue (see if you can spot it…). 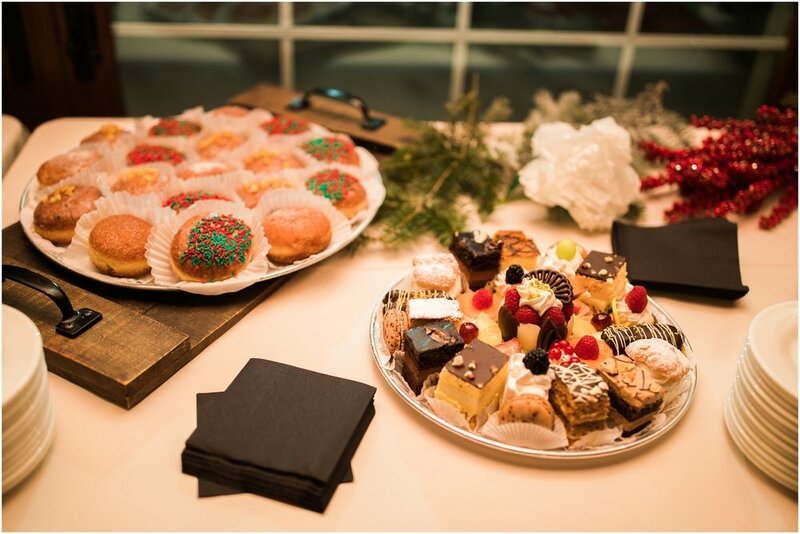 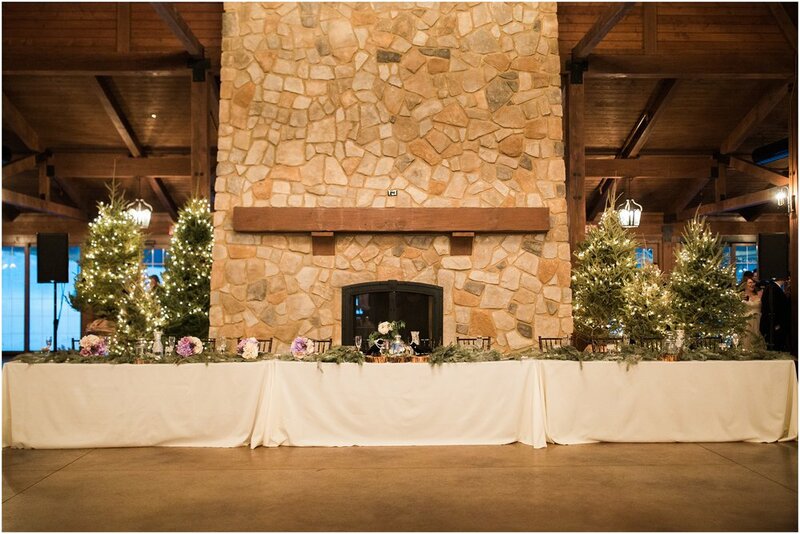 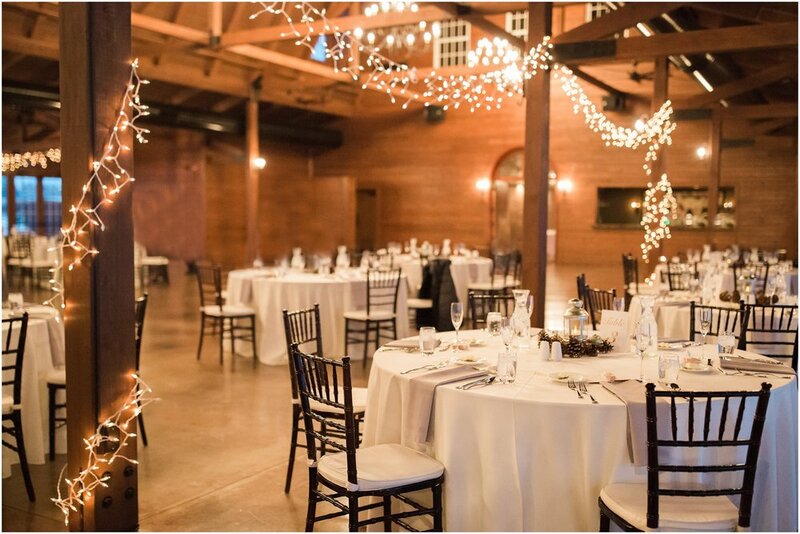 Plus the decor (with centerpieces handmade by Jen’s mom) spoke to the winter vibes of the day, which blended perfectly with the stunning venue they chose. 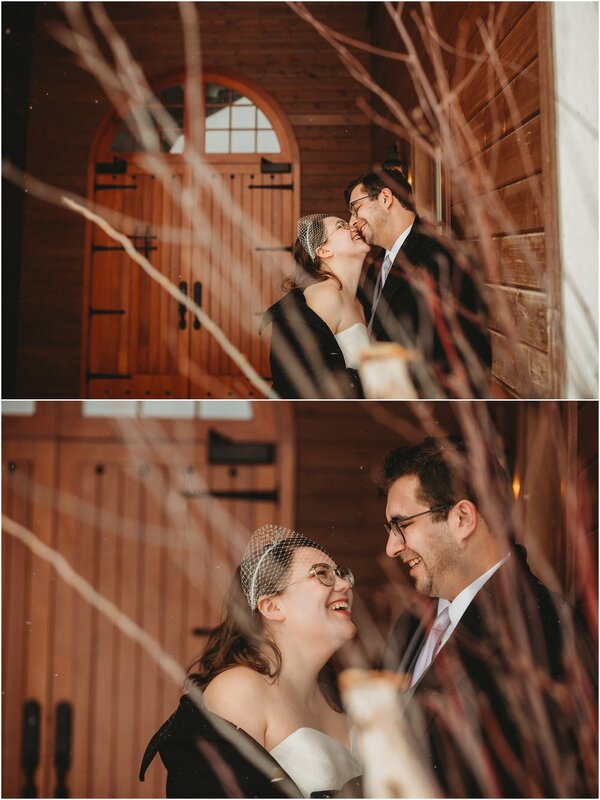 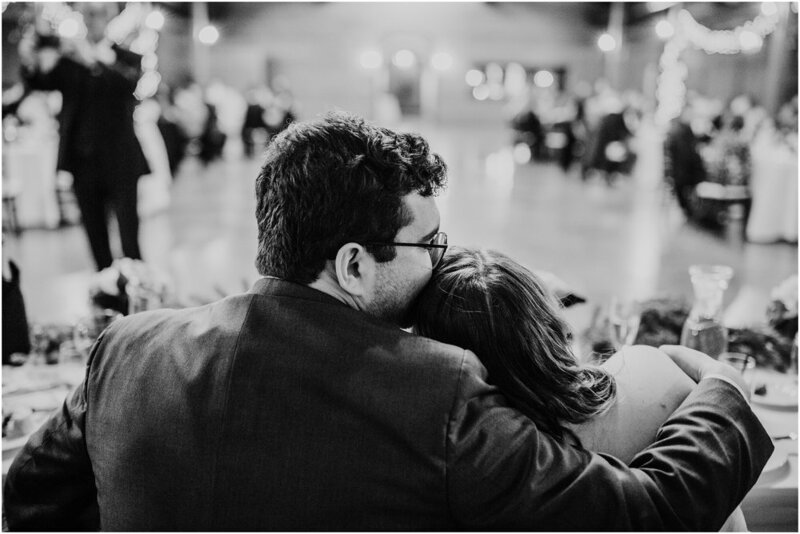 I had so much fun with this awesome pair and their friends and family, and I’m so excited to share some images from this sweet winter wedding day below. 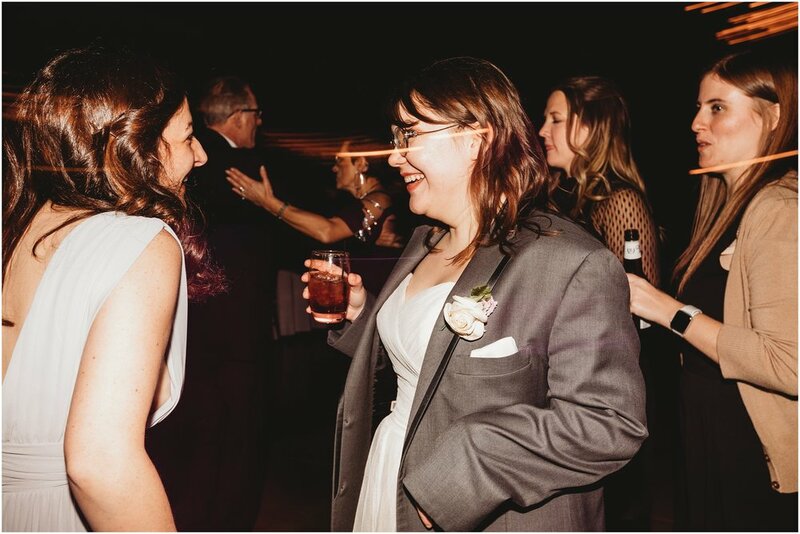 Thank you, Jen + Richard, for having me celebrate with you! 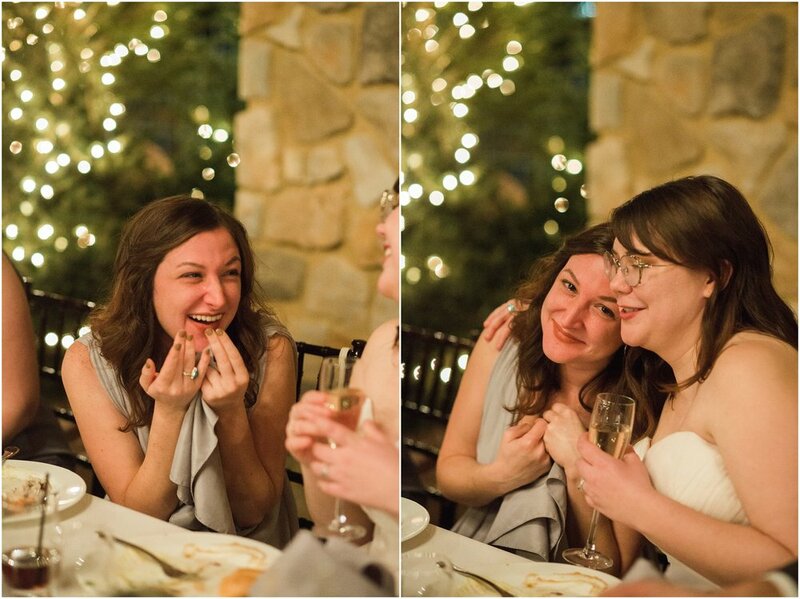 Cheers to a lifelong partnership and lots of love.